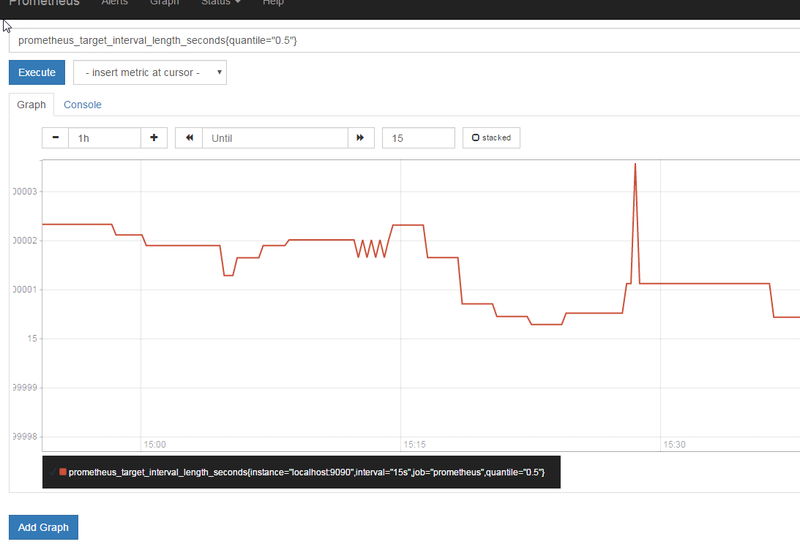 It's time to try another monitoring solution! I have been using Sensu for years and I really like it. It has been an effective tool. But, every so often you need to get out of your comfort zone and try something new. 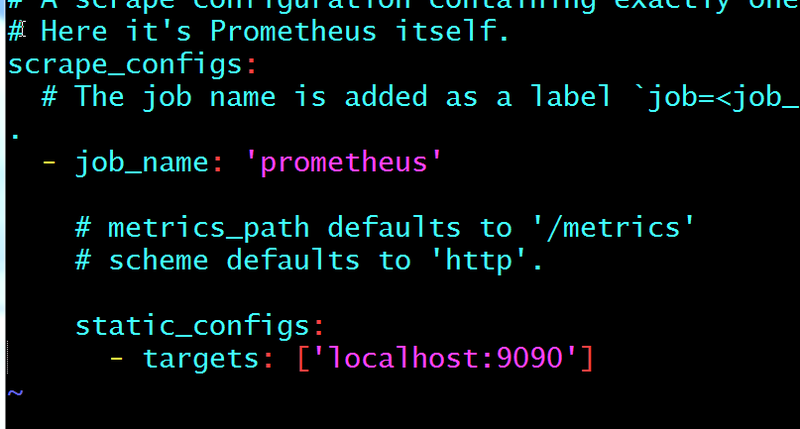 The official "Hello world" installation guide from Prometheus can be found here https://prometheus.io/docs/introduction/getting_started/  I will be using this guide myself. Select Linux and amd64 from the pull down. Run this command to download it. Then cd into the directory and run it. 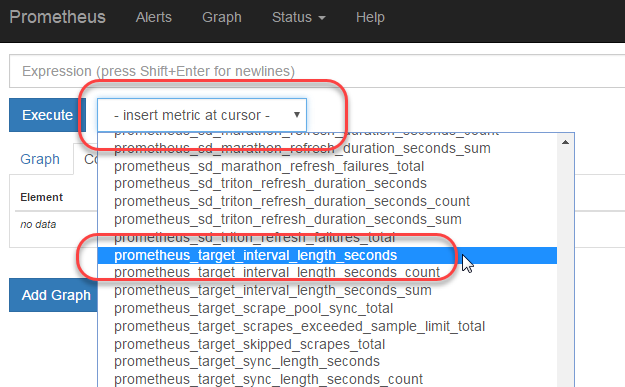 So in short we can use Prometheus to monitor Prometheus, as a starting point. The default file looks fine as is. 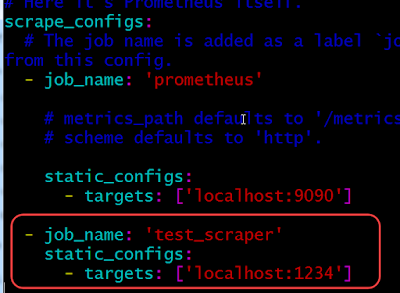 This scrape_configs: section should get information from localhost:9090. 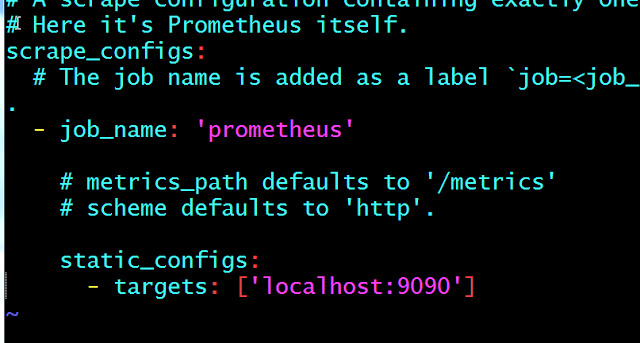 To start Prometheus run this command from the Prometheus directory. In theory it is collecting data about itself. 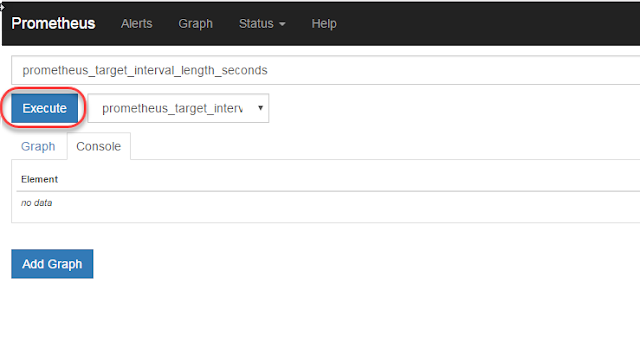 This has returned every data point for this variable. 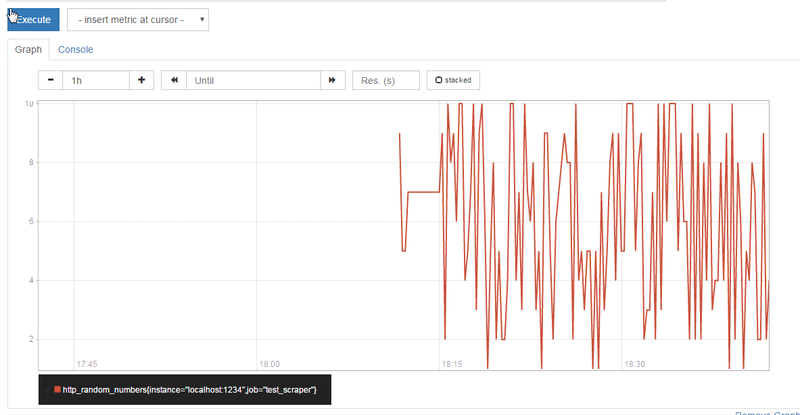 If I click Graph I see this…. This graph looks a little confusing at first. The Y starts at 15 s (which may be fine for detail but I would rather push it down to 0. 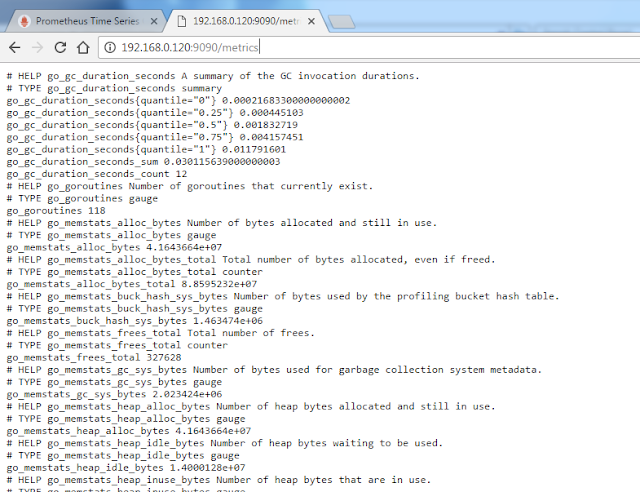 This is primarily useful for ad-hoc queries and debugging. 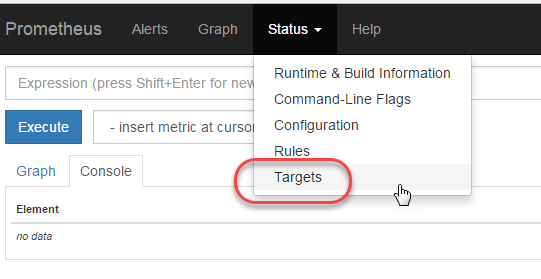 For graphs, use Grafana or Console templates. So in other words this is not going to be the place to view your graphs so don't worry about it looking perfect here. Looking at this graph is a bit confusing at first. One data type was chosen, yet we are getting back 5 different data types?? If I want to filter based on this value I can with a promQL query like this. 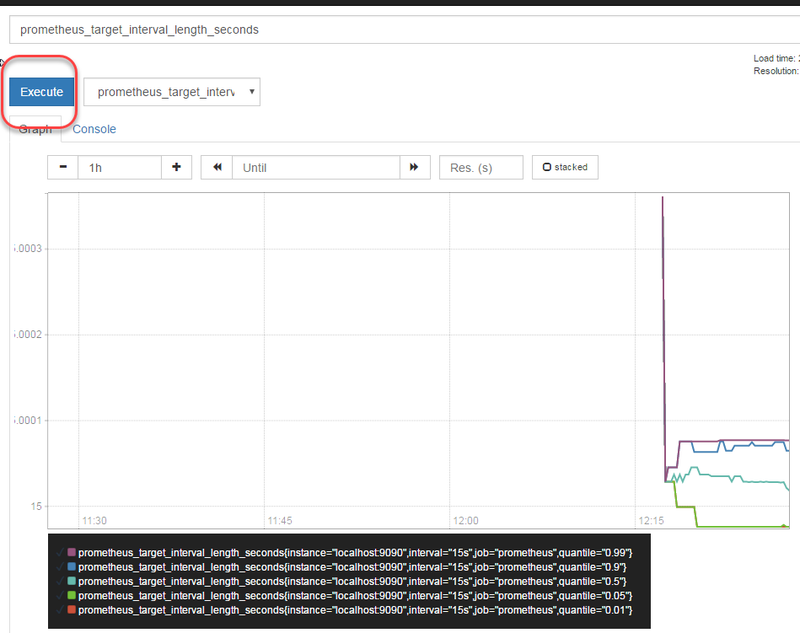 How can I get some outside data into Prometheus? Let me set up a static web server using python. 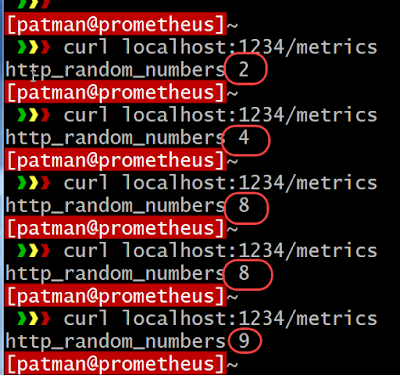 message = "http_random_numbers " + str(random.randint(1, 10)) + "\n"
Prometheus's default place to scrape is /metrics. 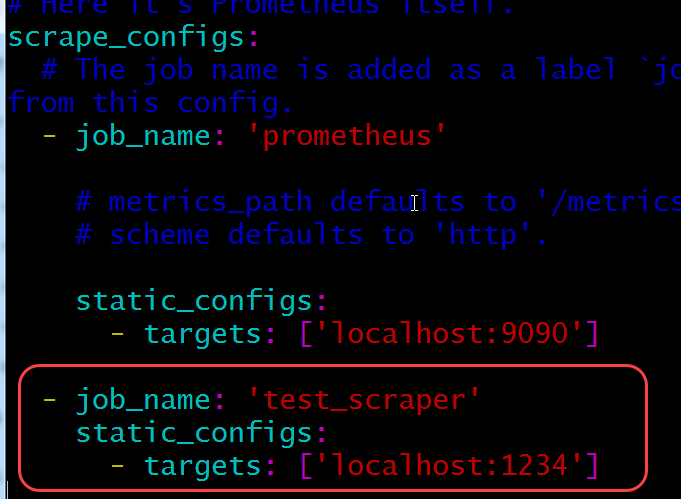 Stop the running Prometheus and edit the prometheus.yml file, adding in the ability to scrape data from this new server. 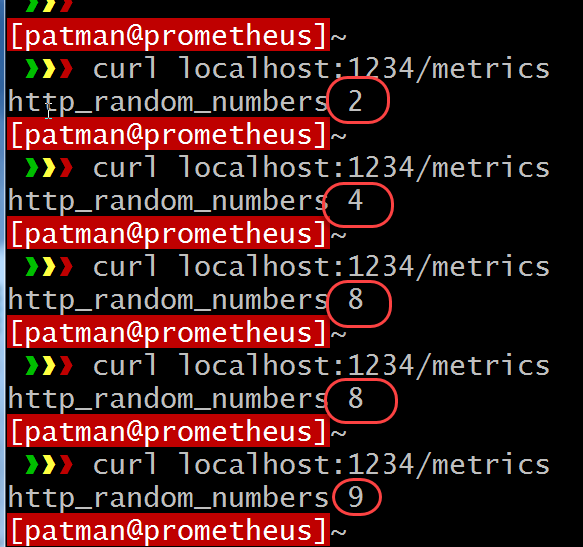 When I bring this up I get no errors, but I am not getting the data point http_random_numbers populated. There I can see its being listed as effectively down. 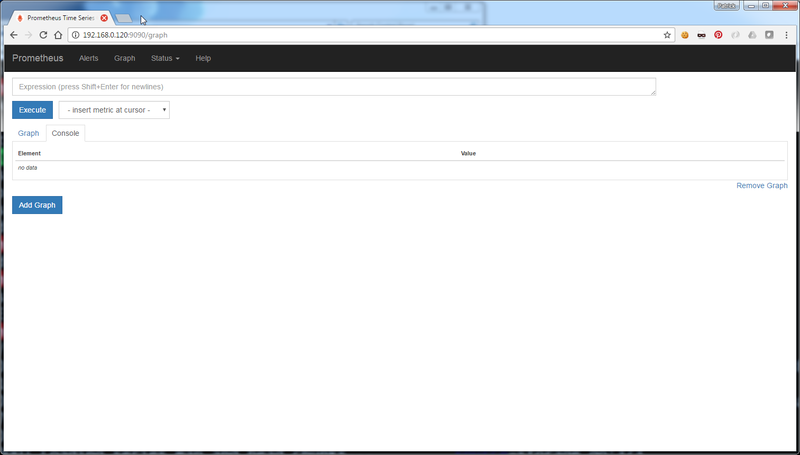 I have malformed HTTP status code "2"
Fix that and restart it. And we are listening now! OK, I think that is enough for a start into Prometheus.